New India Manthan : Sankalp Se Siddhi programme was organized at KVV, Sardarshahar, Churu-I (Rajasthan) on 31.8.2017. A huge participants of about 451 farmers of district Churu (Raj) were attended the programme. Our Ex-MLA-Sardarshahar was inaugurated the programme and followed he gave oath of Sankalp Se Siddhi programme to the participants. Pradhan of Panchayat Samiti-Sardarshahar(Churu), Government Officials from district HQ, Zilla parishad Members were also participated. The Chairman- Host Institution chair the programme. 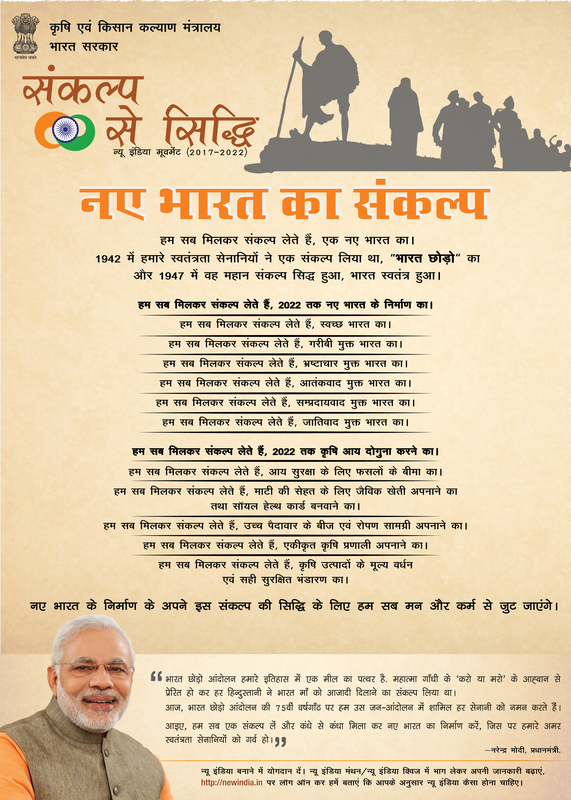 The message of the Prime minister was displayed. Picture “ Border” was shown to participants.